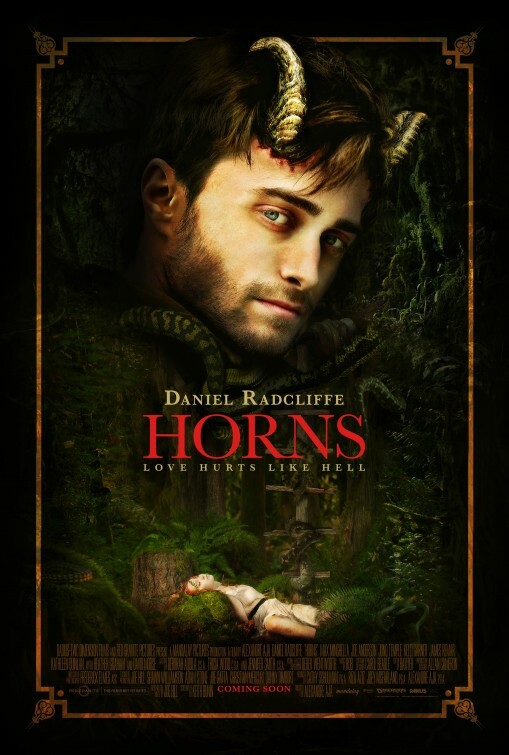 Synopsis: Emma, a blind violinist who had recently undergone a revolutionary surgery, joins with a police detective to track a serial killer after she was an inadvertent witness to his latest crime. Review: My review of 1993’s Blink has to begin with another sad lament that mid-range thrillers like these are no longer made. Throughout the ‘90s movies like this would be released every few weeks and while none of them were going for awards or even enormous box office, many became small gems that are perfect for revisiting even two decades later. I remember looking forward to this one for some time and making sure my dad (who also had a fondness for thrillers) had this on his radar as well. Even at the ripe age of 25, Blink holds up considerably well as a suspense yarn and boasts quite a few good performances and one terrific one. A blind violinist (Madeline Stowe, Playing by Heart) has been without sight since a childhood accident plunged her into darkness. Independent and more than a little flawed herself, Emma undergoes an experimental surgery that restores her vision but has several side effects. The most troubling to overcome is a visual delay that causes her to see things long after they occurred – so blurry people that visited her in the hospital one day won’t register as clear faces until the next. It may sound like a condition created for the movie but it’s a very real thing. When Emma’s neighbor is found dead, she realizes she may have “seen” the murderer and tries to convince the detective assigned to the case (Aidan Quinn, In Dreams). He has a hard time believing her when she proves to not be the most reliable of witnesses, eventually pitting her newfound and still shaky sight against a killer’s aim to eliminate the only witness to his crime. There are several twists to the story as it chugs along, including a love affair between the detective and the woman he’s supposed to protect and the true motives of the killer which gradually come to light. 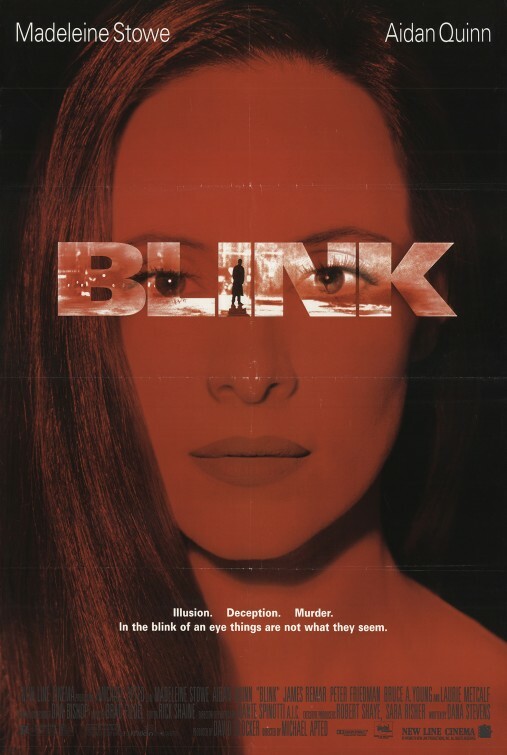 Directed with skill by Michael Apted (The World is Not Enough) and bolstered innumerably by Stowe’s believably rough around the edges performance, Blink is a nifty little thriller with some strong suspenseful sequences. The screenplay by Dana Stevens doesn’t make Emma a perfect heroine, she’s a drinker who was emotionally and physically scarred by her mother and isn’t necessarily the victim people make her out to be. There’s some deep wounds here and Stowe navigates these tricky character nuances well. She’s nicely matched by Quinn and the two create more than believable chemistry (helps they already played a couple, albeit a troublesome one in 1987’s Stakeout). I also liked Peter Friedman (Single White Female) and Stowe’s doctor and even though I feel her part was majorly trimmed in the editing suite, Laurie Metcalf (Pacific Heights) is always a welcome presence. Worth keeping your eyes open for, Blink is a strong reminder why we need these modestly budgeted thrillers to make a comeback. They are great for a rainy day or a stormy night!